The classes will be conducted over two sessions. each lasting 4 hours. To get the most from the sessions, participants are encouraged to commit to both classes over the two weekends. - teachings on attitudes, basic concepts and theories of meditation. 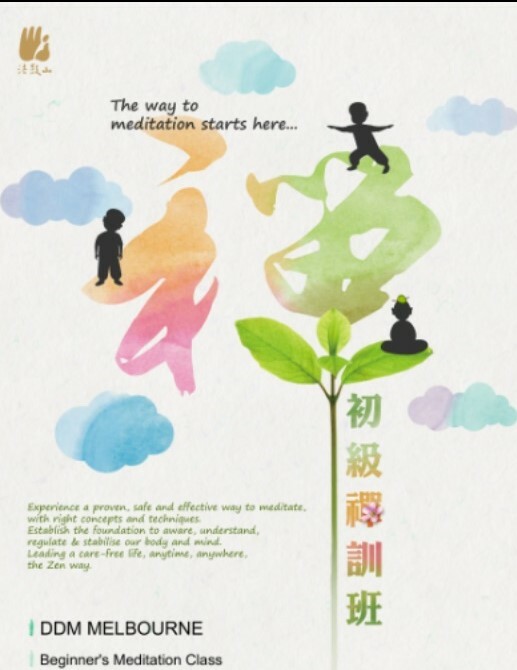 By the end of the classes, participants would be able to practise meditation and prepare themselves for one-day meditation retreats, and proceed to intensive retreats in the future. Places are very limited. If you register and is not able to attend kindly call or text 0470 690 911 or email contact@ddmmelbourne.org.au as soon as possible so that your place can be re-allocated to someone else.